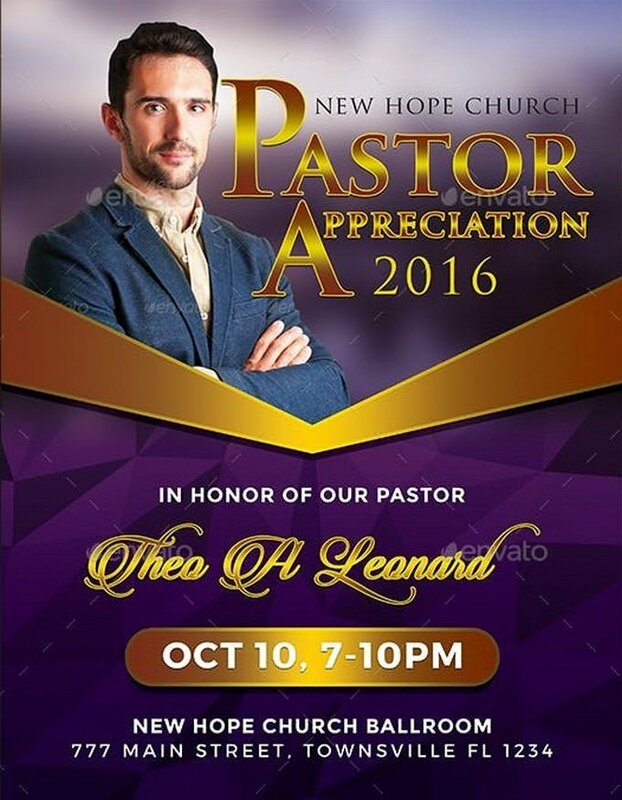 A flyer is a great way to showing appreciation for someone. 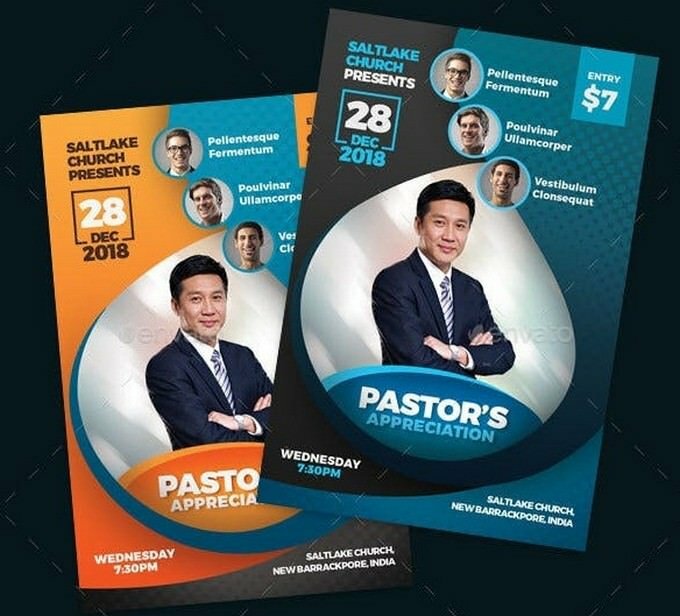 This small piece of collateral has deeper meaning that can help get people excited about something and generate interest. 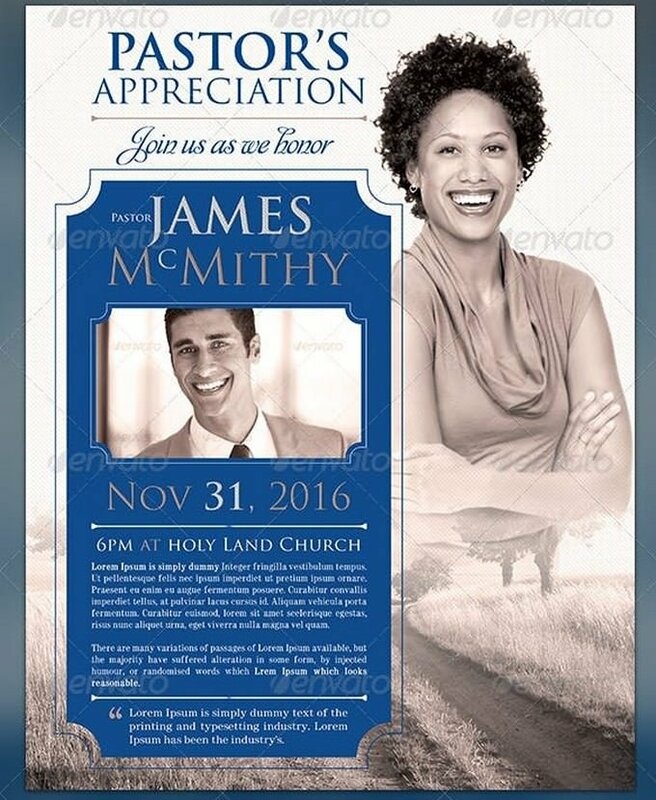 A well-designed appreciation flyer motivate peoples and feel their contributions are appreciated. 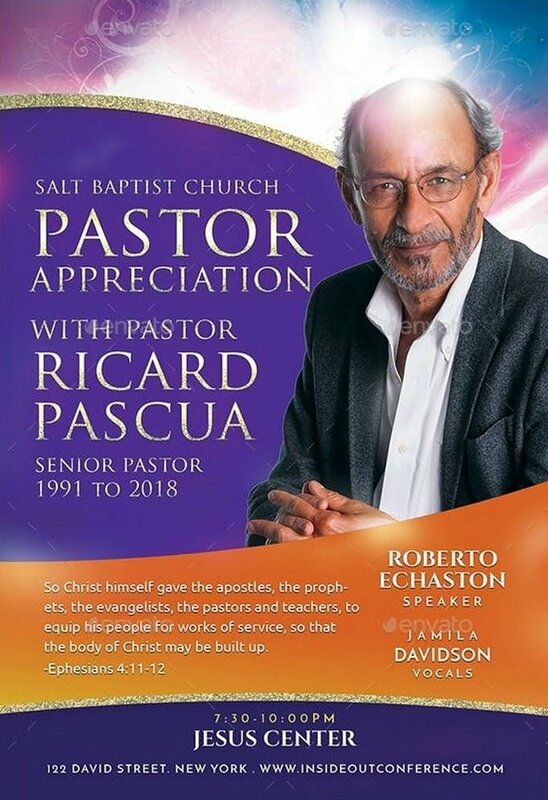 When it come to pastor appreciation part for any church or event. 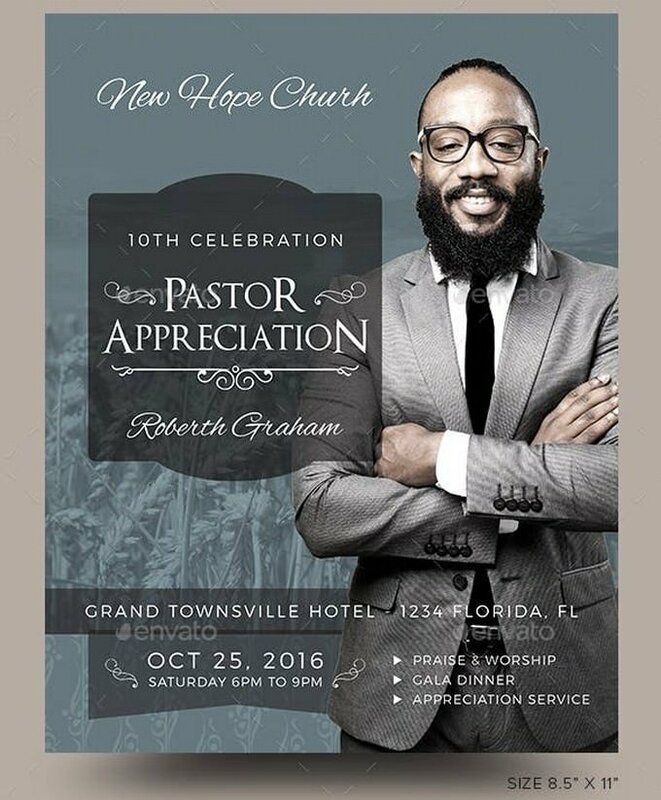 Flyers are an important and cost effective part of appreciation. 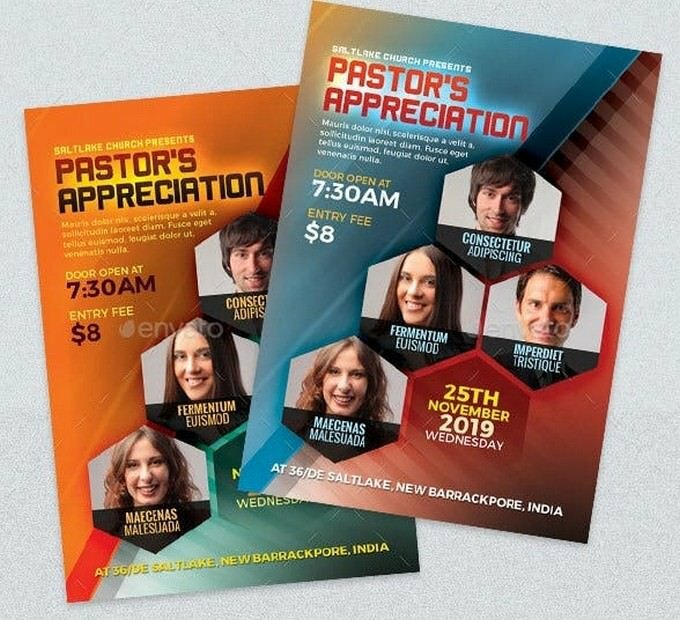 Whether it’s a church event, church celebration, or other kind of church program, you need a perfectly designed flyer to celebrate pastor appreciation. 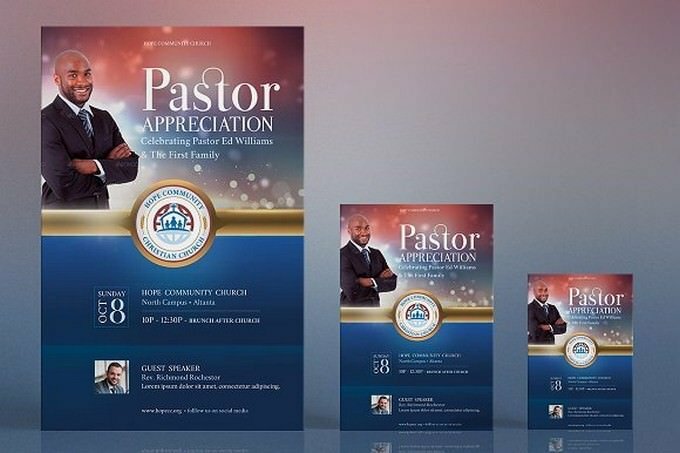 Below, we have collection of 20+ best pastor appreciation flyer designs and templates. 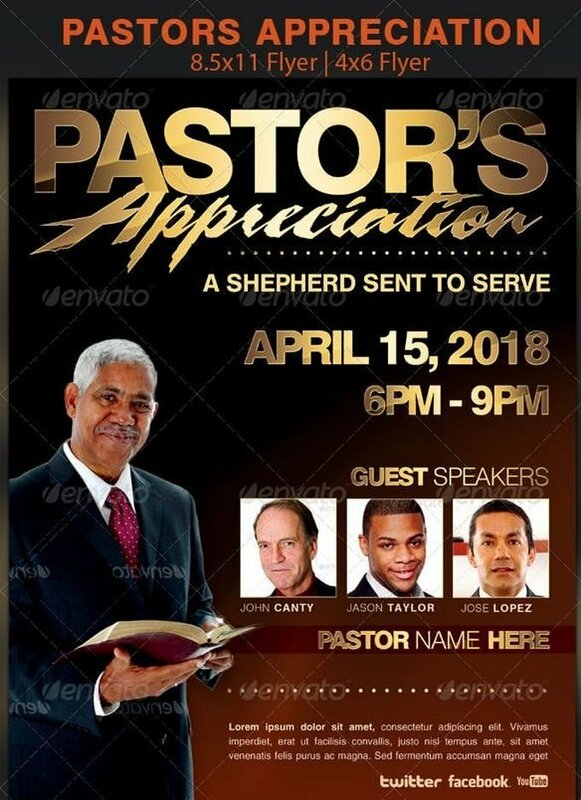 With these templates, you’ll be able to design a professional looking pastor appreciation flyer for any type of an occasion without any expert graphic design skills. 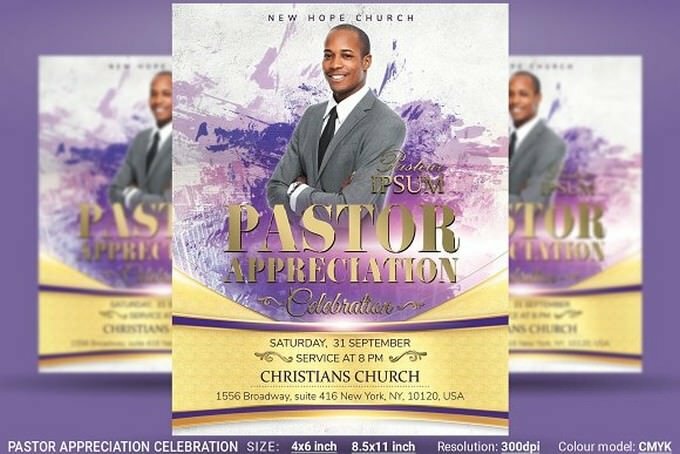 Have a look and see if you can find a flyer template for your appreciation. 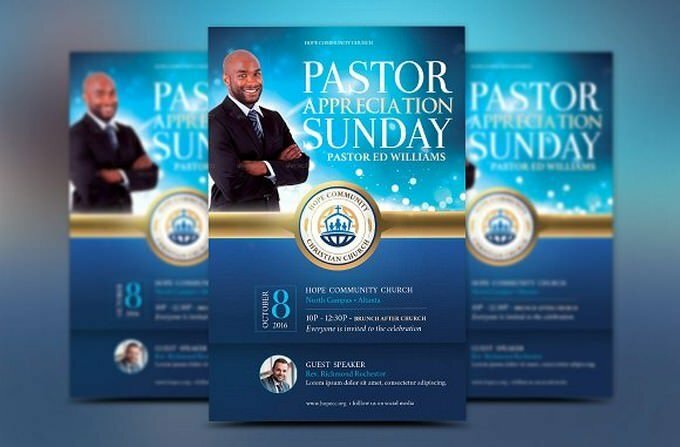 Blue Pastor Appreciation Flyer Template, created with Photoshop, is for anniversary celebration and appreciation events for church pastors. 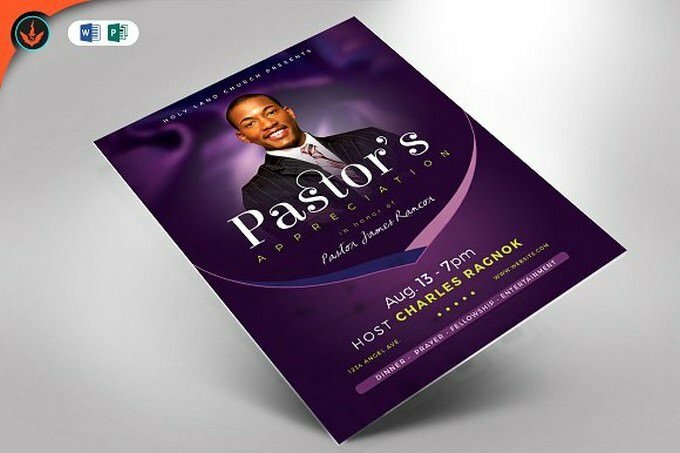 Here is lavender and royal purple pastor’s appreciation flyer to compliment the title. 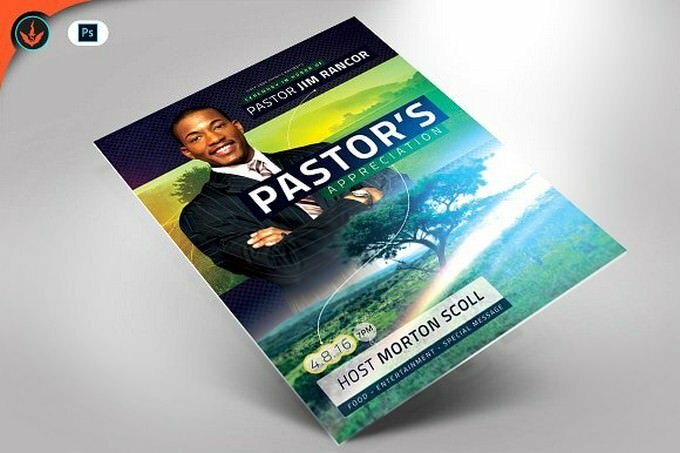 Although it’s designed for faith-based topics, it can also be used for multiple purposes. 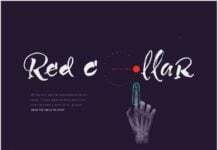 This file is easy to edit for a stunning presentation. 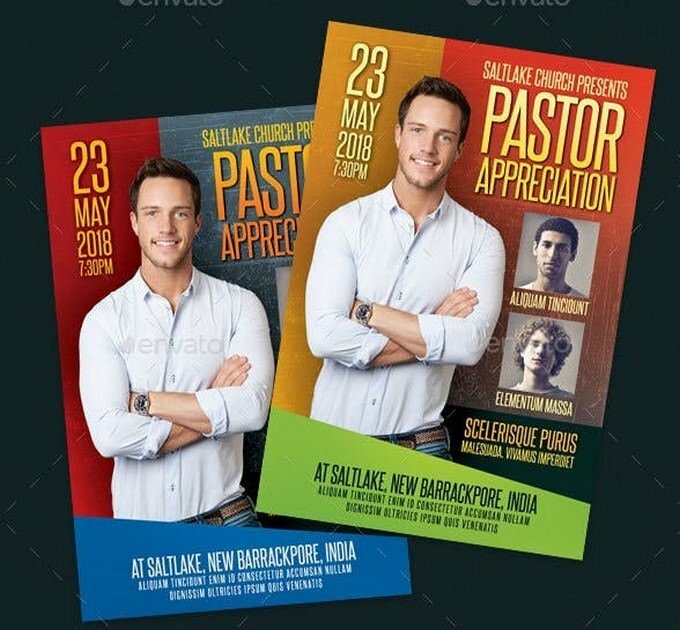 This beautiful flyer template design comes with a cool blue and green color scheme. 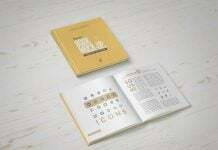 This modern design will be eye-catching as your information leaps off the page. 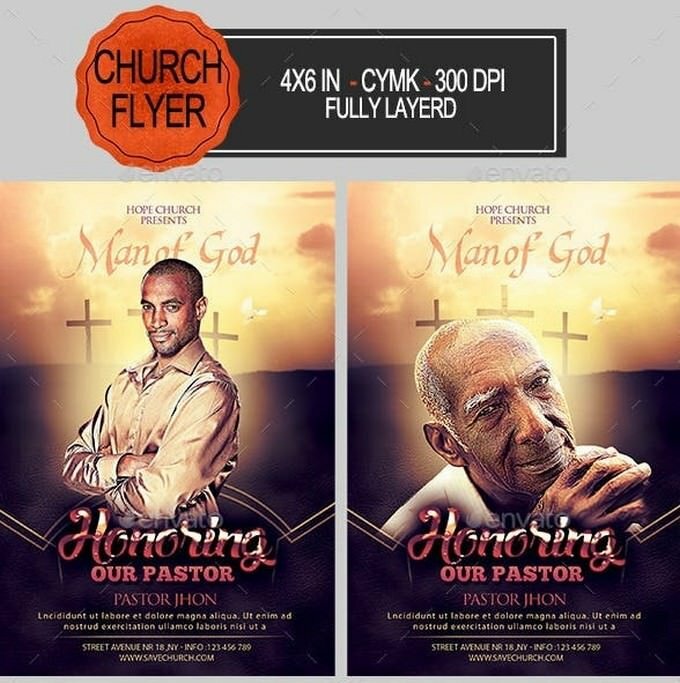 It can be used for any event and will give you the highest quality when printed. 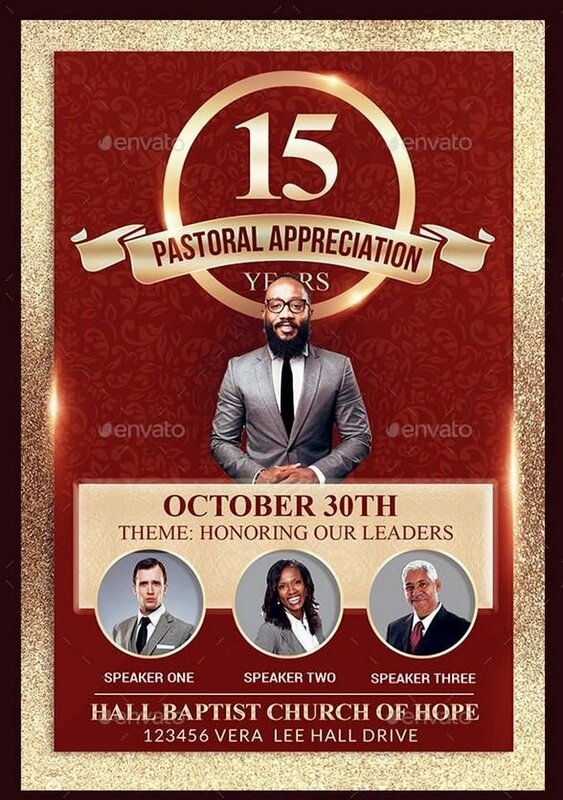 Pastor Appreciation Flyer Poster Template, created with Photoshop, is for anniversary celebration and appreciation events for church pastors. Can also be edited and used for wedding program covers. The gold and blue colors used, gives it a royal elegant theme that is attractive and royal – perfect for all occasions. 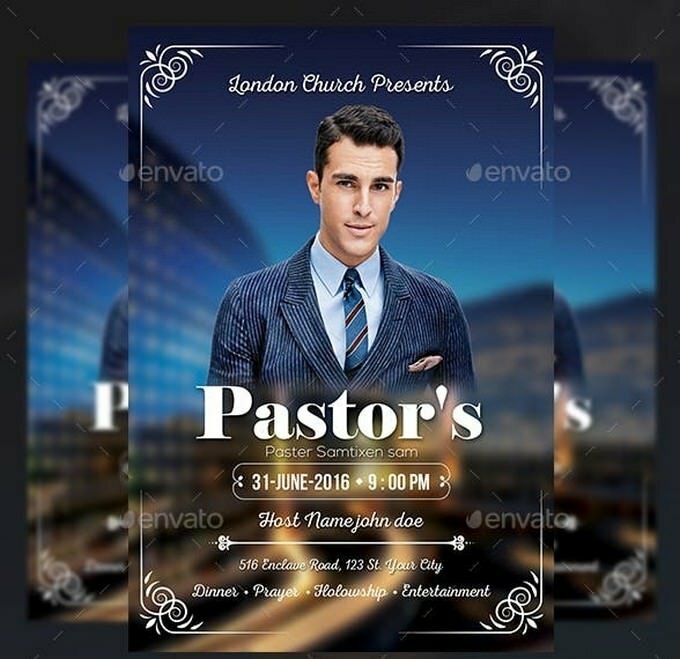 Photoshop template for pastor appreciation event, clergy appreciation month, pastors anniversary, pastors appreciation, pastors birthday, church anniversary also can be used for banquet, gala or any church events. 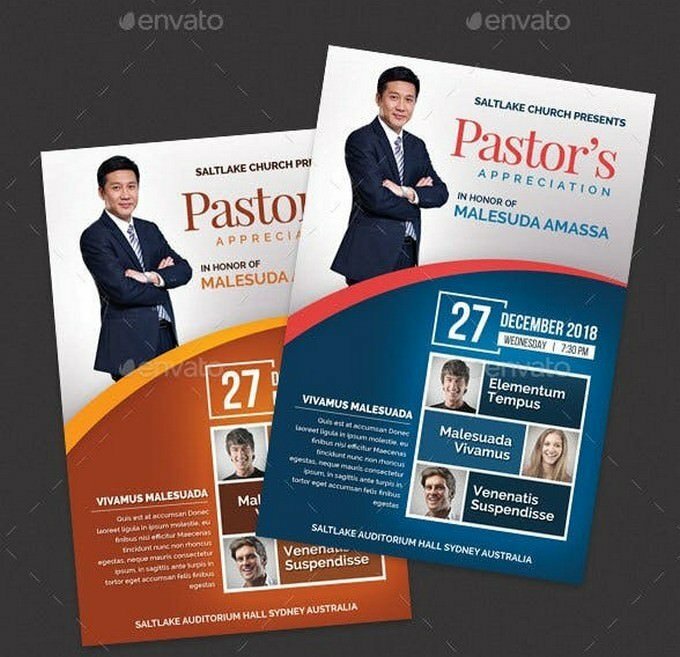 The PSD file are fully editable in Photoshop. 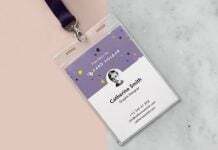 Design comes with a royal kingly theme that is attractive and elegant. 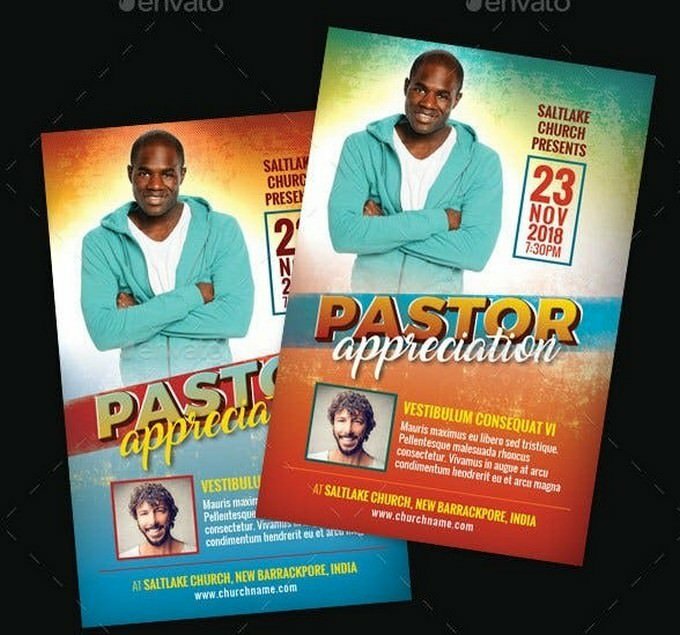 They are 2 (two) PSD files version included, 8,5×11 and 4×6 version. 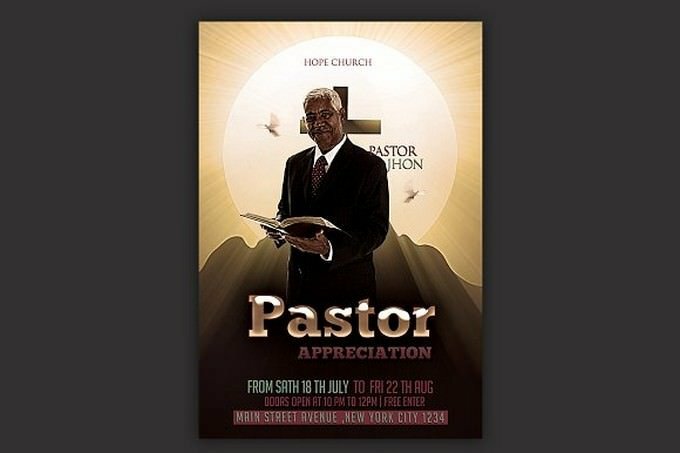 Pastor Appreciation Church Flyer This layout is suitable for any project purpose. 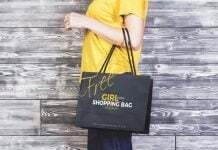 Very easy to use and customize. 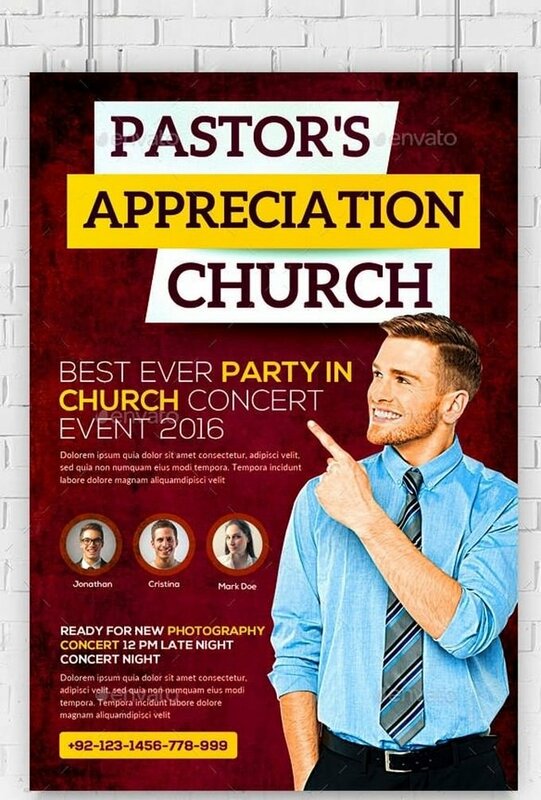 This Pastors Appreciation Flyer Template is made for any church program. 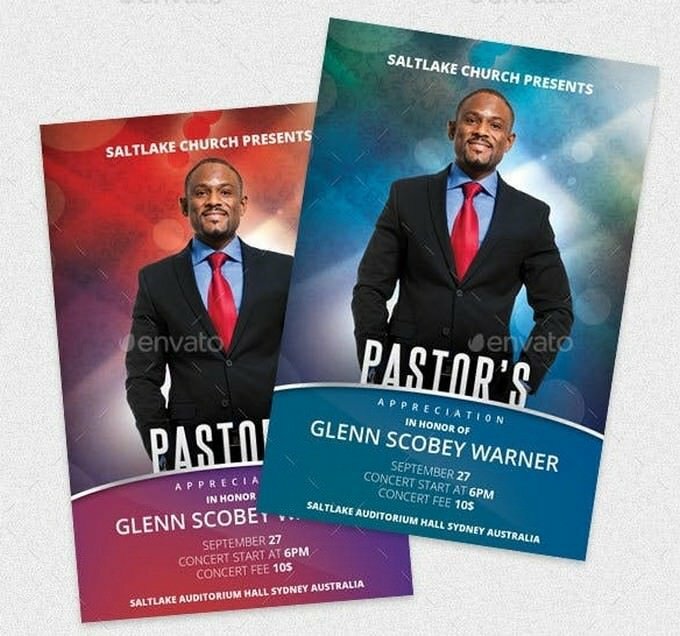 If you are looking for a fun and colorful design to match your event, then you’ve come to the right place. 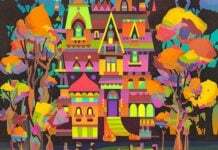 This file is sold exclusively on Graphicriver. The files are completely editable.